If you often work with your own golf clubs, measuring their lengths accurately is extremely important. It is a preliminary step in many club-making techniques, so be sure to get this right! Measuring different types of golf clubs requires an understanding of what we are actually measuring. In today’s terminology, the “length” of a golf club is not the length of the shaft, but the length of the shaft and the club-head combined. 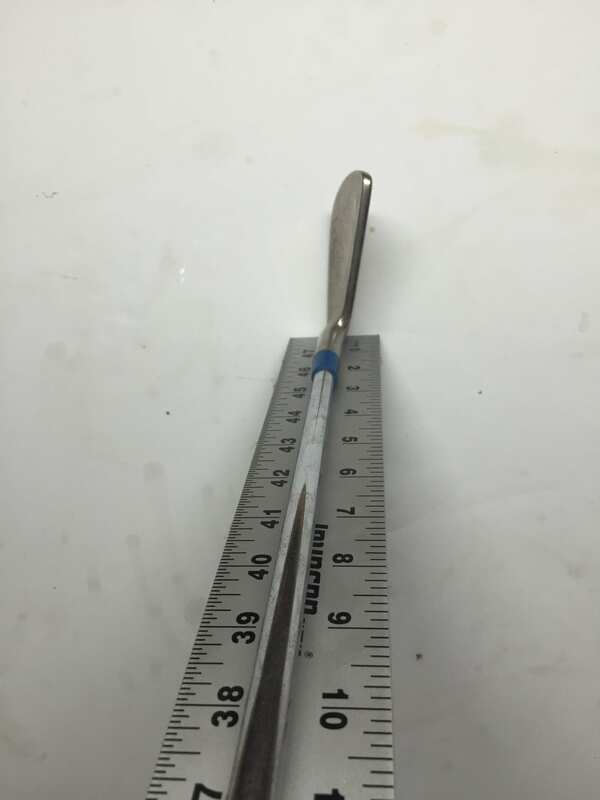 Essentially, we are measuring from the sole (bottom) of the golf club (while it is sitting completely flat) to the end of the grip. 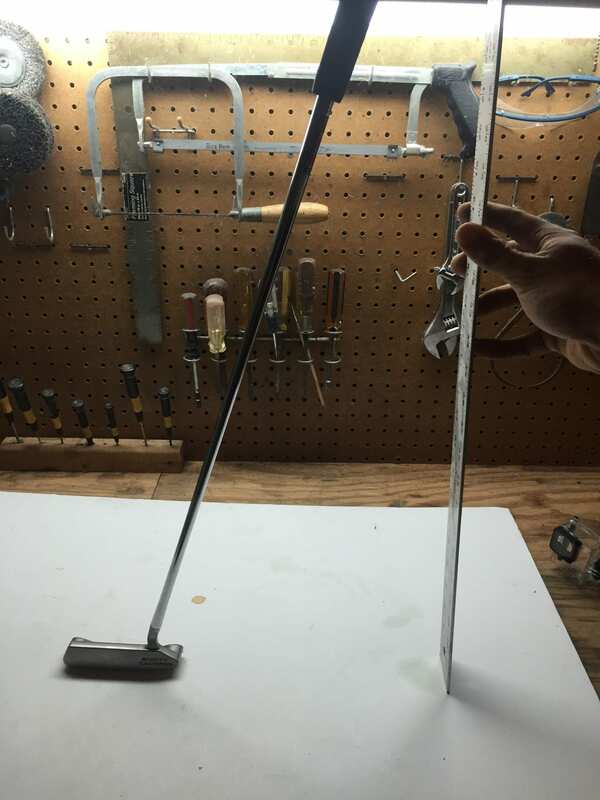 The first step in measuring a golf club is to rest the club completely flat on the ground. When I say “flat” I mean that the contact point of the club to the ground should be in the middle of the club’s sole. In other words, neither the toe nor the heel of the club should be lifted in the air. The pictures below represent how you should rest the club against the yard stick while measuring. 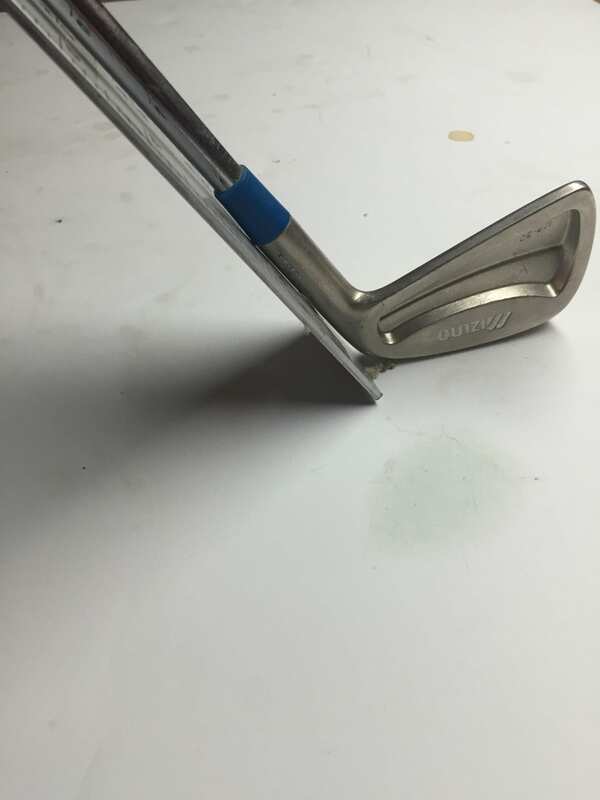 Due to all the different styles of putters, it is often hard to measure using the previous technique. 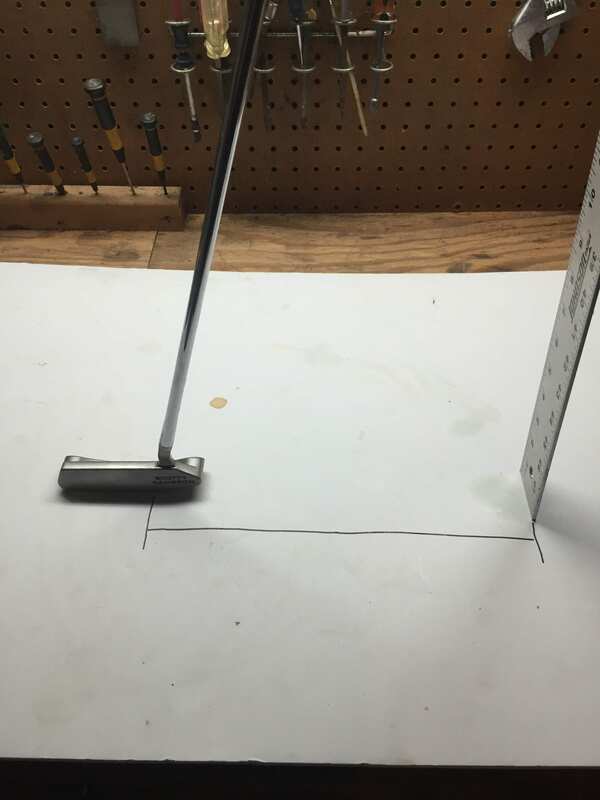 I use an old technique you might know as the “Pythagorean Theorem.” First, rest the grip end of the putter against a vertical yard stick like in the picture below, noting the length. Now, measure the distance between the yard stick and the point on the sole of the putter where the shaft points to. 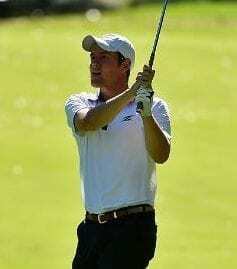 I imagine the shaft extending all the way through the putter to the point where I make my mark. Measure the distance from where the shaft would meet the ground and the yard stick. See the picture below. Now, use the Pythagorean Theorem to determine the length of the putter. For those of you who didn’t pay attention during algebra, the formula is: a2 + b2 = c2. The two measurements that you have taken are the a and b values. Solve for c and you’ll have your length! Here is a quick calculator that you can use.